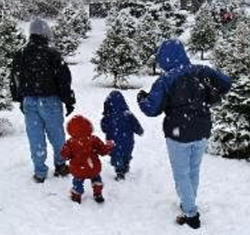 If you live in the Mesick, Michigan area - we would be honored to be part of your Christmas tree tradition. and pick out the tree for your Christmas festivities. Please email if you would like to set up an appointment. Create a special memory going to the field and cutting your very own tree, or pick from our freshly cut options at our tree lot.